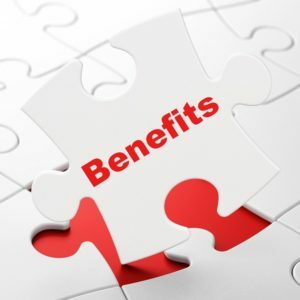 What government benefits can my child with special needs qualify for and when? Raising a child with special needs is challenging. Many families seek public assistance as a way to help cover the living expenses and health care costs associated with the child’s disability. Once a child reaches the age of 18, he or she is almost certain to require government benefits for life. There are a variety of programs that can help both children and adults with special needs. Here is an overview of the options available for families with a child with special needs. The Children’s Health Insurance Program, or CHIP, is funded by both states and the federal government to provide health coverage to children with special needs and other kids, through Medicaid and other programs. It is designed for children under the age of 19, and generally does not require premiums. Supplemental Security Income, or SSI, is a federal Social Security Administration program that provides money for children with special needs under the age of 18 whose families are considered low income. SSI is available once a child with special needs reaches adulthood at age 18 regardless of parents’ assets and income. He or she can apply for SSI as an individual. They will look only to the child’s assets and income. The child cannot have had more than $2,000 in their name in the last three years. Medicaid may be applied for in addition to SSI and, in fact, it is generally far more important for most adults with special needs. That is because Medicaid is much more than medical assistance. It also pays for residential options including group homes, as well as day programs and supported employment programs. The Medicaid program is federal, but operated and administered by the states. Each state has its own Medicaid rules. Section 8 federal housing vouchers can help subsidize rent for adults with special needs who are able to live independently. Keep in mind, any extra money, including an inheritance, can put a halt to your child’s much-needed public assistance benefits. Consider setting money aside into a third party special needs trust. A third party special needs trust is usually established by the parents of a child with special needs to hold an inheritance or a gift, yet but allow the child to continue to qualify for government assistance – which would not happen if a parent simply left an inheritance directly to the child. The assets in the trust are not given to the child, but rather, a trustee who can use the funds in the trust for the child’s benefit. There is no limit to how much can be left in a special needs trust.